Here’s a surprising fact: in a recent British study, teenagers said that their second-biggest concern was ‘exam stress’. Isn’t it incredible that among all the issues that young people face today, stress is their second-biggest worry? Today’s teens shouldn’t feel this way. Our youth is supposed to be the time in our lives when we experience lots of fun. It’s a time when we should be carefree and enjoying ourselves before entering the adult phase of life which brings more responsibilities (such as paying bills and raising children). Yet, somehow, we’ve created a society that’s causing our young people to feel stressed and constantly under pressure, especially in the context of school and grades. It’s unacceptable and we need to do something to fix it. To make things worse, too much of the wrong kinds of stress can actually inhibit the brain’s performance. It restricts the parts of the brain that deal with memory and recall, which is particularly harmful when you have tests coming up. 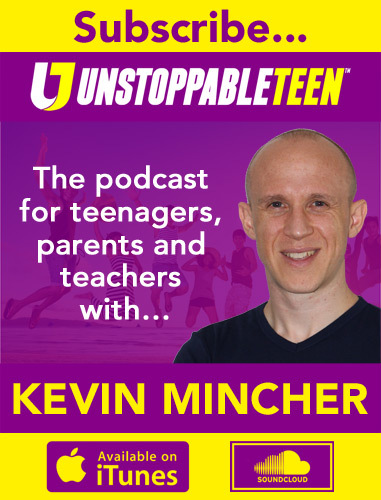 In this episode of The Unstoppable Teen Podcast, I’ll give you five solutions that teenagers can use to turn down the stress levels and experience more happiness. This brilliant book by Brian Tracy will help you reduce stress by dealing with procrastination. 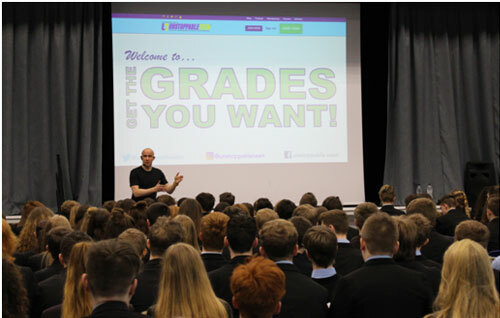 Invite Kevin Mincher to speak at your school! Kevin’s performance-coaching seminars are packed with evidence-based strategies that are proven to improve student progress and achievement.For more information please call (UK) 0845 834 0848.